We provide quality accommodation in each of our units (guest rooms). With restaurants, bars and other support services, our hotels become the ideal solution for your business or leisure travel. Currently hotels Eurosol, Leiria, Residence, Alcanena, Seia Camelo and Gouveia have the certification: ISO 9001 awarded by TUV Rheinland. Your presentations and business meetings can be held in one of the fine rooms that we have to offer (all with natural daylight), equipped with the latest equipment and accompanied by an excellent catering service. 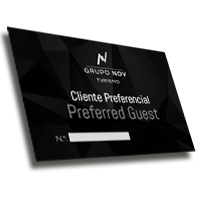 Grupo NOV Turismo Attractions allow you to lunch or have dinner at the same time that we offer you an exquisite meal served by a team of professionals with a keen eye for quality service.